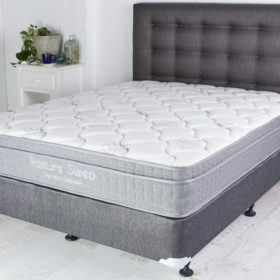 Ensemble bed bases made by SlumberSense in Queen, Double, Single and King Sizes. 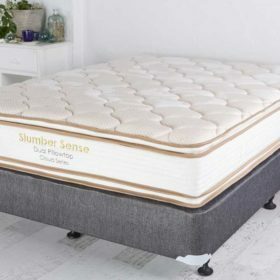 SlumberSense Ensemble Bed Bases are available in Queen, Double, Single, King Single and King Sizes. Our bed bases are made with MGP10 Australian structural timber and not laminated plywood. 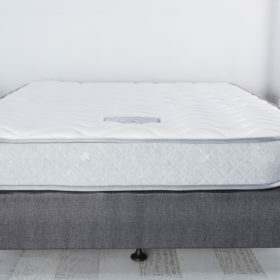 They feature a solid top not just fabric where you can feel the slats come through. Edges of the wooden frame are reinforced with timber strips, not hollow. 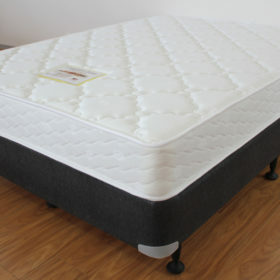 Our sizes are standard Australian sizes and will fit any standard size mattress. Made in Australia from a solid timber frame. Refer to photos. Please ensure bases will fit through doorways and stairwells as some buildings cannot accommodate queen size frames and require a special size to be made up. 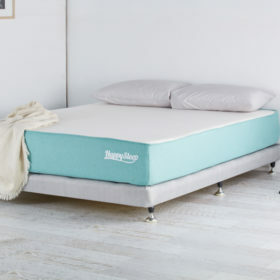 Bed bases are not eligible for any comfort policy. 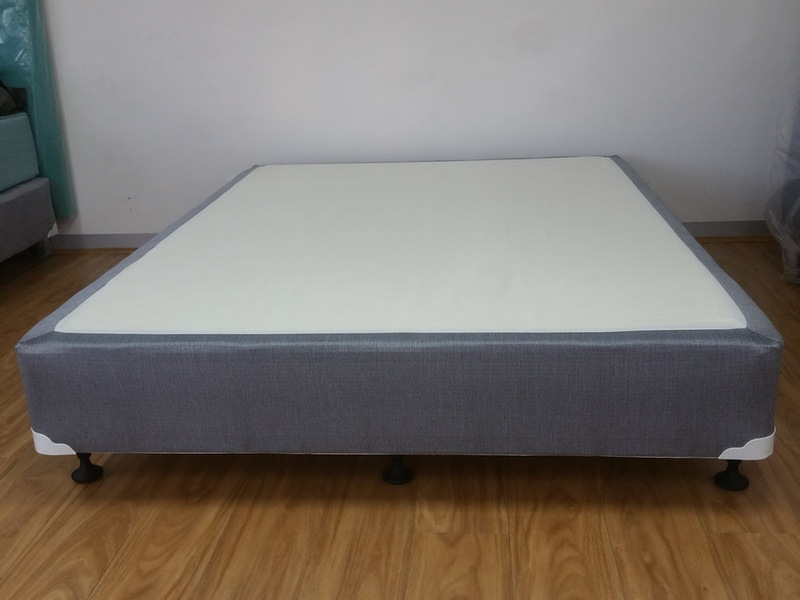 All bed bases come with corner guards and legs. *Note for King Size Bases, these come as 2x Long Single Bases.